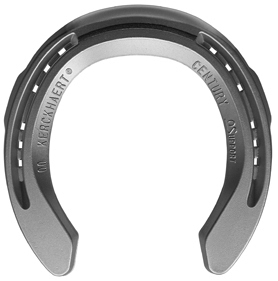 The Aluminum Century series provides farriers who prefer the Kerckhaert Triumph Aluminum an option for smaller feet. This shoe is a good fit for feet that require a narrower shape, with less width in the toe. Shoes are symmetrical. Punched for 4-1/2 Regular, 5 Race or 5 Slim.